In the United States, St. Patrick’s Day is a time to celebrate Irish roots with food, drinks, and good friends, all while wearing green. In Chicago, they dye the entire river with “Leprechaun Dust,” which has been a tradition in the city for over 50 years. Cities around the country host heritage parades, and kitchens prepare corned beef and cabbage for luck. But, why stop there? 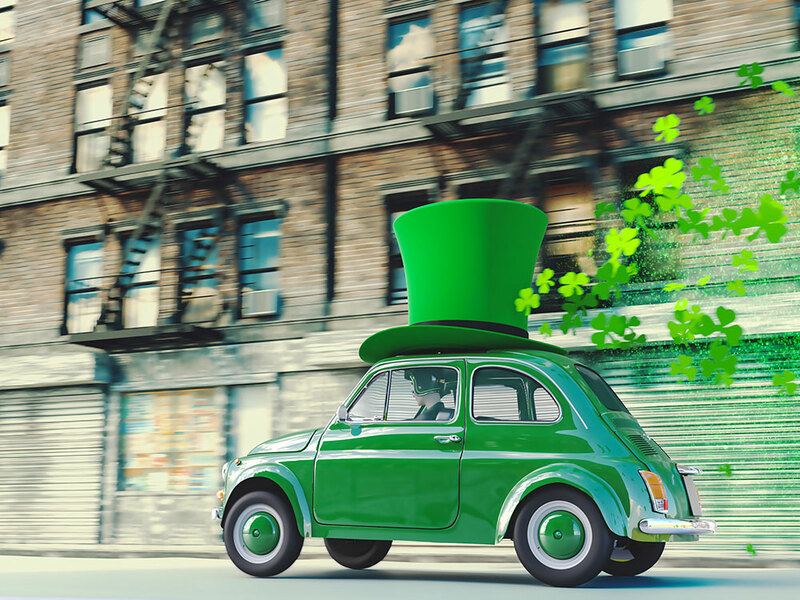 To celebrate the green holiday, we thought it would be fun to share ways you can help keep your vehicle “green” and celebrate all year long. Clean filters can impact the way your engine runs, and therefore your gas mileage. Make sure you check these at each oil change and replace them when necessary. While the speed limit is there for the safety of yourself and other drivers, staying within marked speed limits can also help with gas consumption. Acceleration and constant braking can eat up fuel and disperse more emissions into the air. Setting cruise controls where possible and parking in shady spots in the heat can help, too. Did you know that 5% to 15% of U.S. fuel consumption is related to rolling resistance? When your tires aren’t inflated properly, resistance to wind and weather can waste more fuel. Check your vehicle’s handbook for proper inflation levels, and don’t wait for your tire light to come on before having them checked. Don’t forget the spare! Has it been awhile since you cleaned out your trunk? No idea what you have in there anymore? Removing excess, unneeded items can also boost your fuel efficiency. Weight can strain an engine not equipped to haul the pounds and eat up the fuel. The only things you should keep in your trunk long term include emergency items and the spare tire if that’s where it’s stored. Vapors can leak out of an improperly sealed gas cap and into the atmosphere. If you’ve lost yours, replace it as soon as possible, and make sure to secure it tightly after a fill-up. If you need help with anything related to your car maintenance, make sure you see a professional auto technician right away. For more products that Mighty Auto Parts supplies, visit our website.